Another Duggar baby is on the way! 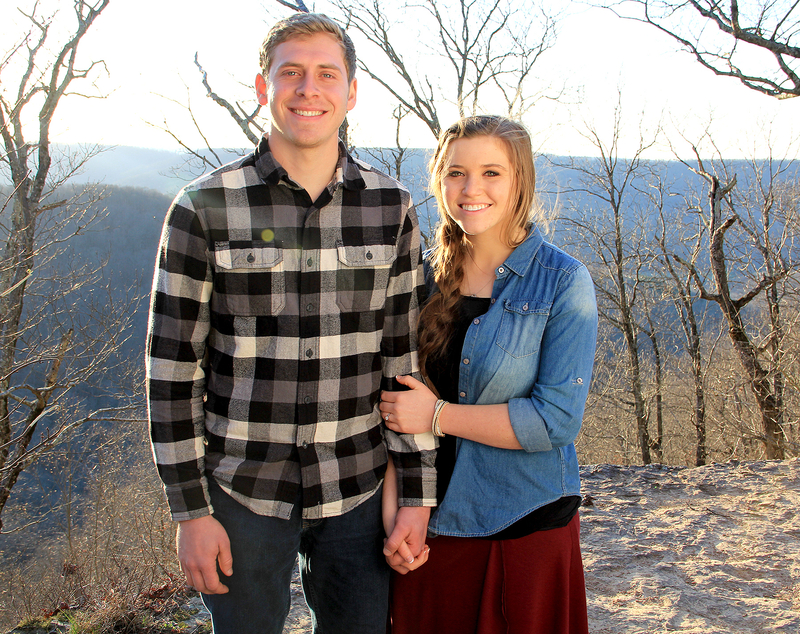 Joy-Anna Duggar is pregnant and expecting her first child with her husband, Austin Forsyth, TLC confirms to Us Weekly on Wednesday, August 30. Duggar also discussed her pregnancy in a TLC video. “Before we even were married, we were praying that God would give us kids, and we’re so thankful that he has,” she said in the video. The pair tied the knot in front of friends and family in Rogers, Arkansas on May 26 in a surprise ceremony after deciding to move up their previously scheduled October 28 wedding date. After the nuptials, they enjoyed a romantic honeymoon in Switzerland. Us Weekly exclusively announced in March that the couple were engaged after three months of courting and nearly 15 years of friendship. “I’m so excited to be engaged to my best friend — Austin made it so romantic, it’s amazing,” she told Us at the time. Joy-Anna is the fourth Duggar to start a family of their own. Her oldest sibling Josh Duggar shares four kids with his wife Anna Duggar; Jill Duggar shares sons Israel, 2, and Samuel, 1 month, with husband Derick Dillard; and Jessa Duggar shares sons Spurgeon, 21 months, and Henry, 6 months, with husband Ben Seewald. Her sister Jinger Duggar is married to Jeremy Vuolo, and her brother Joseph Duggar is getting ready to say “I do” to fiancée Kendra Caldwell. Counting On returns to TLC Monday, September 11, at 9 p.m. ET. Catch up on full episodes anytime on TLC GO.